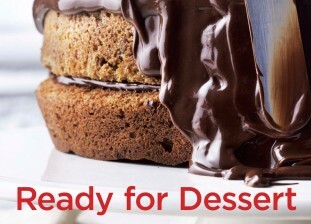 This critically acclaimed book is a compilation of David Lebovitz’s all-time favorite dessert recipes. “Ready for Dessert” generously features recipes from his two first books now out of print and considered collectible: “Room for Dessert’’ and ’’Ripe for Dessert’’. It has been completely updated and revised and includes a selection of brand-new recipes that haven’t been printed before. This gorgeously photographed book features everything from a tropically-inspired Coconut Rum Cake, Chocolate-Dipped cupcakes with a creamy filling, rustic fruit desserts, and the famous Fresh Ginger Cake recipe, in addition to nearly 150 others.